Jamie Lee Curtis, True Lies: I jump right in and talk about this movie as if you’ve seen it already, because if you haven’t…why the hell not? It’s so great! It really is an amazing film with some amazing action scenes and incredible stunts! 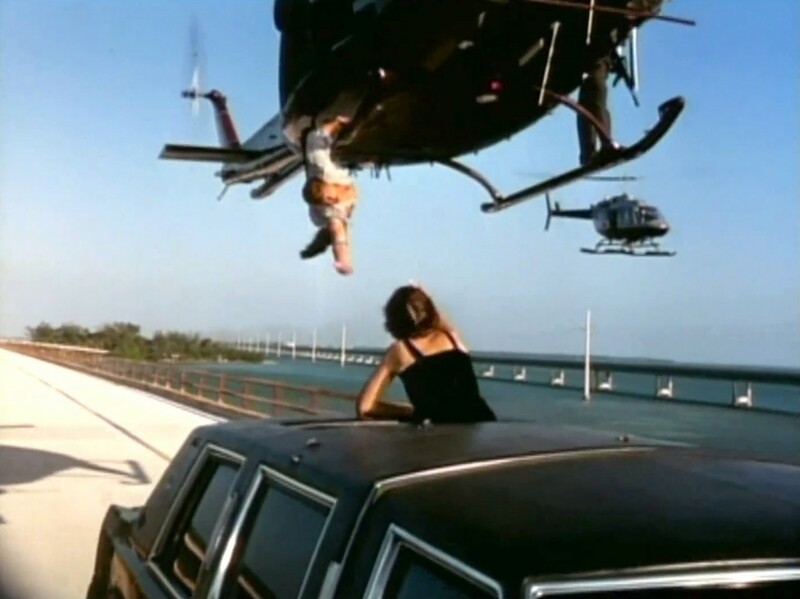 When Arnold Schwarzenegger rescues wife Jamie Lee Curtis from an airborne chopper, he grasps her by her arm just as the chopper heads out over the water. The woman you see dangling below the chopper skid is no body double, but Curtis doing her very own stunt work. At her insistence, director James Cameron agreed to let her perform this scary spectacle. 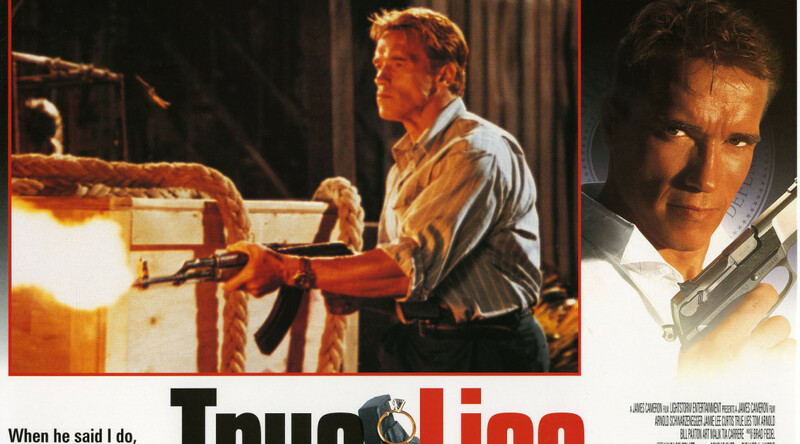 According to Jamie Lee Curtis, on the TV special promoting “True Lies”, it was Cameron’s idea for her to do the helicopter work; she said, “Oh, yeah. And just where are you going to be while I’m dangling way up there in the air, Jim?” And, according to her, he said, “Hanging out the door filming you with a hand-held camera.” So she decided that if he was willing to do that to get the shot, she could stand to do it, too. Curtis did the helicopter stunt on her birthday. It’s interesting to note that at one point Helen remarks that she “married Rambo.” James Cameron co-wrote the screenplay to Rambo: First Blood Part II, the second film of the Rambo series. There’s also a connection here to two Marvel franchises, as when James Cameron made this film he was seriously considering directing the first Spider-Man movie, even going so far as to write a lengthy “scriptment”, which Cameron called it – a mix between a film treatment and a script. If you’re really lucky you can still find this “scriptment” floating around on the Internet. 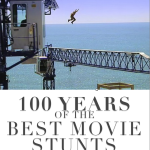 [fliiby]https://flii.by/file/kr1rla0as99/[/fliiby] Check out our new Book, 100 Years of the Best Movie Stunts!